"The human race shouldn't have all its eggs in one basket, or on one planet," the renowned astrophysicist told the website Big Think, a forum which airs ideas on many subjects from experts. "Our only chance of long-term survival is not to remain inward looking on planet Earth, but to spread out into space," he added. 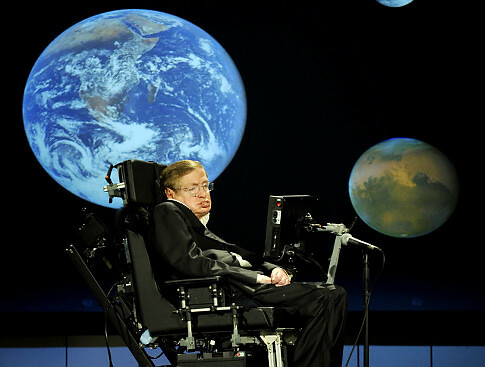 "We are entering an increasingly dangerous period of our history," said Hawking. "Our population and our use of the finite resources of planet Earth are growing exponentially, along with our technical ability to change the environment for good or ill."
If we want to survive beyond the next century, "our future is in space," added the scientist. "That is why I'm in favour of manned, or should I say 'personed', space flight."